There are three levels of plot: outline level, scenes and pacing. The outline level is the most abstract level, or the skeleton level, where each section of a story is categorized in some general way. We do this by dividing stories into acts, for example. Some prefer 3 acts, some 4, doesn’t matter, as long as the division is helpful to the writer (as opposed to helpful to the critic). The level of scenes adds more details and becomes specific to your story as you choose which scenes will best tell your story. Pacing is an even finer level, more concerned with the minor changes that take place within a scene. Each of these levels is important, though, you can choose which to emphasize. 1. A Stranger comes to town. 2. Someone leaves town on an adventure. Either adventure and conflict come to you, or you go to it. 33 Plots. Another theory is that there are 33 plots in the world. 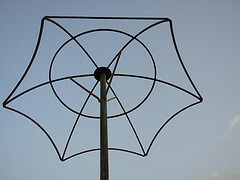 Ronald Tobias talks about these in his book, 20 Master Plots, leaving out some because they seem to him to be outdated. He says that, for example, battles against the Gods is more suited to the ancient Greeks. One result of the limited number of stories is that most outline level plots are cliches: Boy meets Girl; Boy offends Girl; Boy gets girl. It’s fine that on an outline level the plots are cliched. It’s not until the scene and pacing levels do you need to worry about being original. Why bother with Plot Outlines? So, what good does it do the writer to know about these typical outlines or about dividing stories into acts? Give you a General Structure, a Backbone or Skeleton. It helps because on this abstract level, it’s easy to stick to tried and true story lines – oh, not strictly, never strictly. But it helps to know that in the beginning of a story, Act 1, the main character is usually introduced quite early, as is the main conflict in the story. There’s a climax and resolution in Act 3. Duh, you say. Well, yeah. That’s because you’ve already internalized these as typical things that happen at these points of the story. In the same way, you can learn what typically happens at different points depending on the story you want to tell. This is especially important in the middle of the story, so you can avoid the dreaded Sagging Middle. In other words, there are some plot templates which, on the abstract outline level, are helpful to look at. It also means you need to sharpen your skills in moving from abstract to concrete, within the context of a story. That’s where the creativity comes in. It’s okay to use plot templates, as long as you use them with flair and originality. Gives Focus to Your Story. There’s another use of the plot templates. Suppose you read through a diary of someone who escaped from a harsh childhood, then goes on to do well in business, establishing a great business, but never succeeding in their family life. You’re drawn to the story and want to write about it. But what part will you tell? Plot templates can help. This could be a rescue story, concentrating on just the first part of the story. It will begin with an explanation of the harsh situation, continue with thwarted attempts at rescue/escape, until the climax is getting away. OR, it could be a tragic quest for family. Here, Act 1 is the tragic childhood family situation, Act 2 shows our character trying to establish a family on his/her own, and Act 3 shows the failure in the family arena. These are not the same story; they focus on different things and would include different scenes, events, and emotions. But both could work. What doesn’t work is a jumble of plot templates. Act 1 begins as a rescue story which turns into a maturation story in Act 2 as the character grows up, and ends as a story about two rivals in Act 3. The plot templates can gently remind you that you must decide what story you are telling; it can help you focus the story by choosing the right combination of scenes to develop. You need to know what type of story you are telling, then forget about it as you develop the scenes. The outline level is helpful at the beginning of the story and as a check throughout the first draft; it’s also helpful to re-check this the first thing when revising, to make sure the story hangs together. Tomorrow, an overview of some of the more helpful plot templates. Use this coupon code: NANO15. Read more about the 29 Plot Templates and how to use them to jump-start your novel. INSTANT DOWNLOAD. 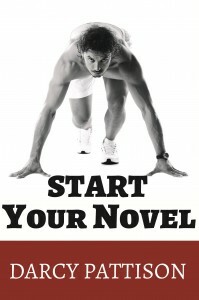 Click HERE to Get a Great Start on Your Novel!